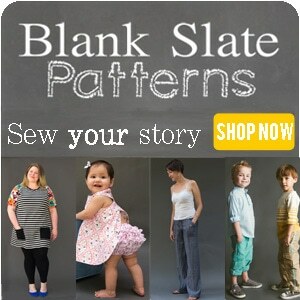 Tater has grown much taller and not any wider – the boy is like a size 2 in the waist and almost a 5 in length. These Nowhere Man Pants still fit him, but they’re highwater. So I’m going to show you how to let down hems when you don’t have much fabric to work with. This is a pair of pants that I made Tater last year. The boy has grown over an inch taller, but his waist has gotten smaller! So the pants still fit him, but they’re high-water now. 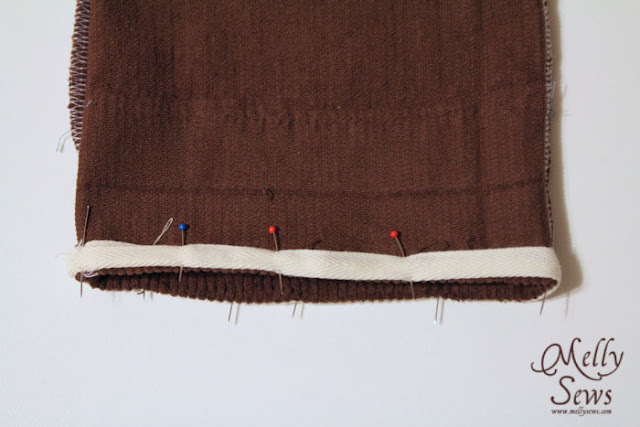 Start by using your seam ripper to take out the existing hem, and iron. 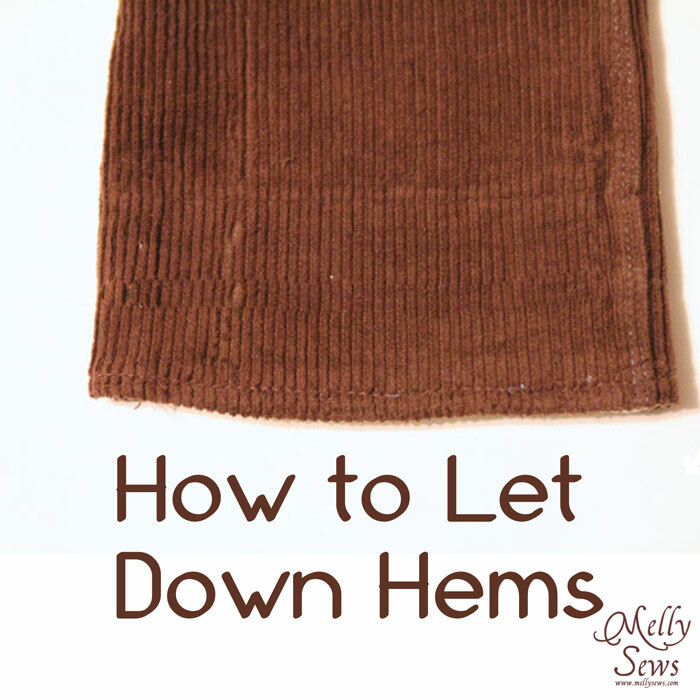 I had 1 1/2″ below the hem. I needed to let these pants down at least an inch. 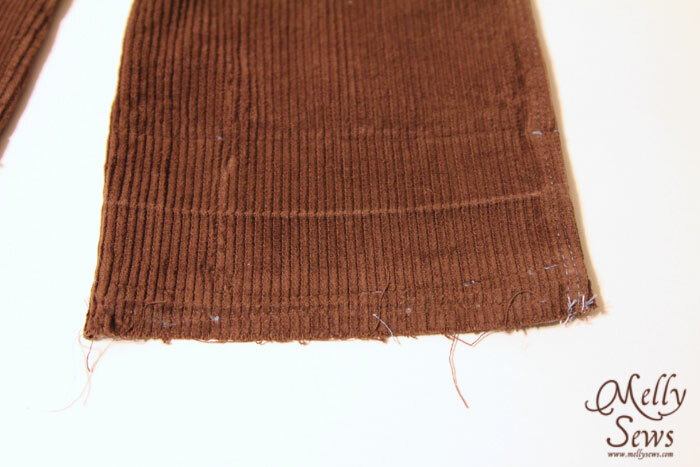 There was no way I’d be able to make a tiny, 1/4″ hem on this wide wale corduroy. 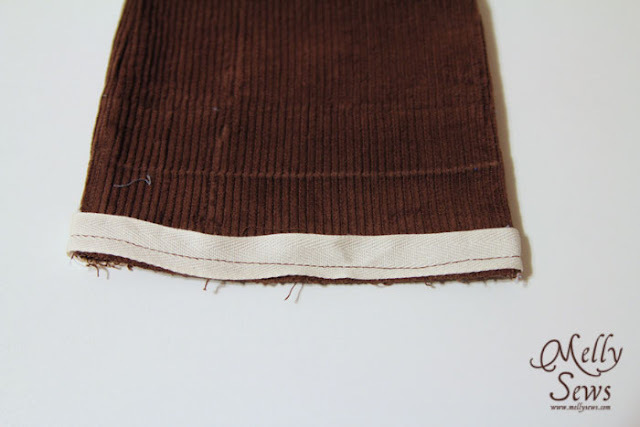 So instead, cut a piece of bias tape, grosgrain ribbon, or in this case I used 5/8″ twill tape twice the width of your pants leg plus 1 inch. 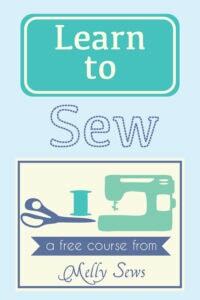 Sew this into a loop, using the extra 1″ to make 1/2″ seam allowance. Then stitch it right sides together around the bottom of you pant leg, using the smallest seam allowance you can. In this case I used 1/4″. 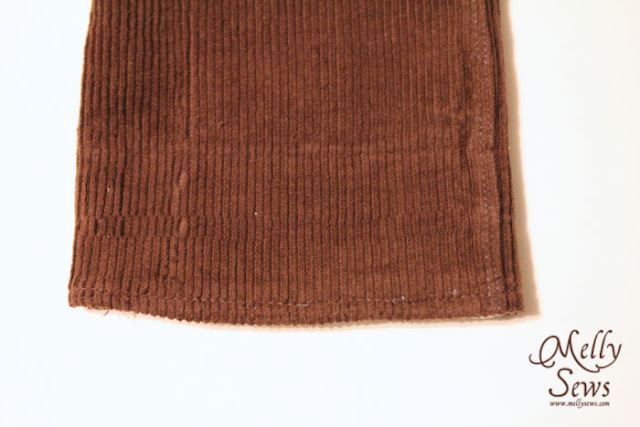 Turn your pants inside out, and press the twill tape to the inside. This will cover the raw edge of your pants. Stitch in place. And now on the outside you have a normal looking hem. In my case I managed to let these pants down 1 1/4″. This post originally appeared at Keeping it Simple. What a great idea! Thanks for sharing! I might do this to a dress I got on super clearance that’s just a little bit too short.